When you own a 4WD, you expect there’s going to be a certain amount of wear and tear. However, there are plenty of things you can do in order to reduce the damage done, and most people are open to practical solutions. On that note, today I want to introduce a new product from Clark Rubber – the Ultimate Matting. If you have a Ute, trailer or truck, this is something you’ll want to check out. With the huge rise in dual cab Ute sales in Australia, a lot of people now own the perfect multipurpose vehicle. Whether you want to take a load of garden waste to the tip, fill the tub with camping gear for a long weekend or load it up with tools for a weeks work, you can do it quickly and easily, whilst still having a comfortable vehicle to drive around with the family. The back part of a Ute is versatile, but its also often neglected and gets badly damaged in the process, which is where the Ultimate matting comes into its own. 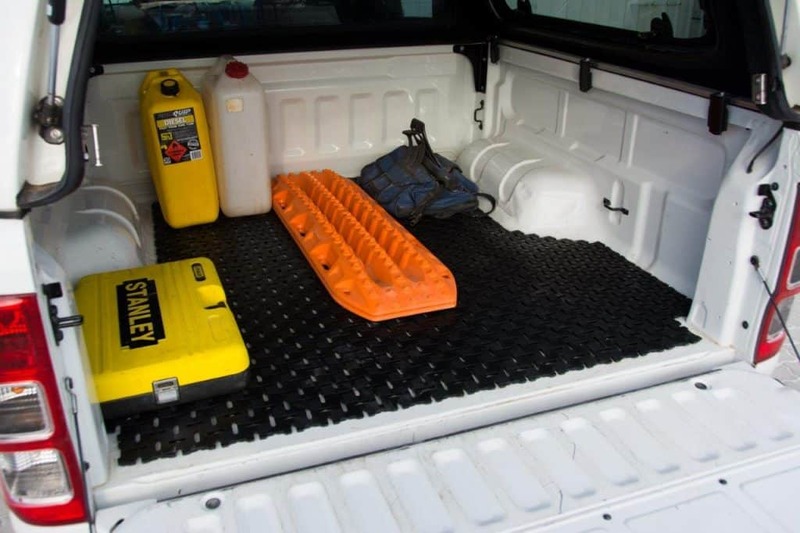 Putting rubber matting in a Ute, trailer or Truck is not new technology. It’s been done for years, ranging from off cuts of old conveyor belt through to the more high end honeycomb products. 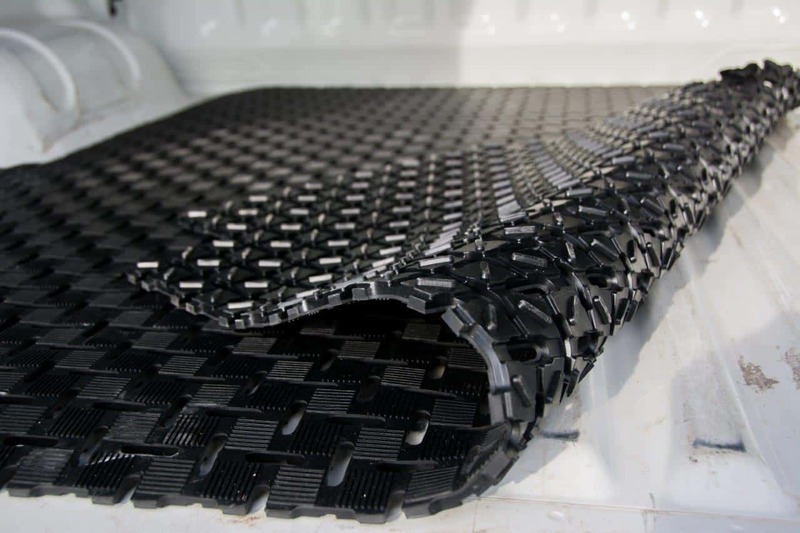 As rubber technology has improved, so too has the durability, functionality and comfort of rubber matting. Clark Rubber have recently released their newest addition; a top of the range matting designed with anti fatigue properties so it can double in purpose for production/warehouse lines and reduce the physical impacts of standing on hard flooring for long periods at a time. It’s 20% thicker than standard Ute matting (now 12mm thick), can be reversed, is UV stabilized, easy to cut and has a new compound for even greater durability. What are the benefits of installing Ultimate Matting? Tired of scratching your Ute tub or tray up? A few weeks back I was loading some limestone blocks into the back of a very new dual cab 4WD, which came from the factory with no tub protection. I cringed as we slid the heavy blocks into place, as the brand new paint job got ripped up. 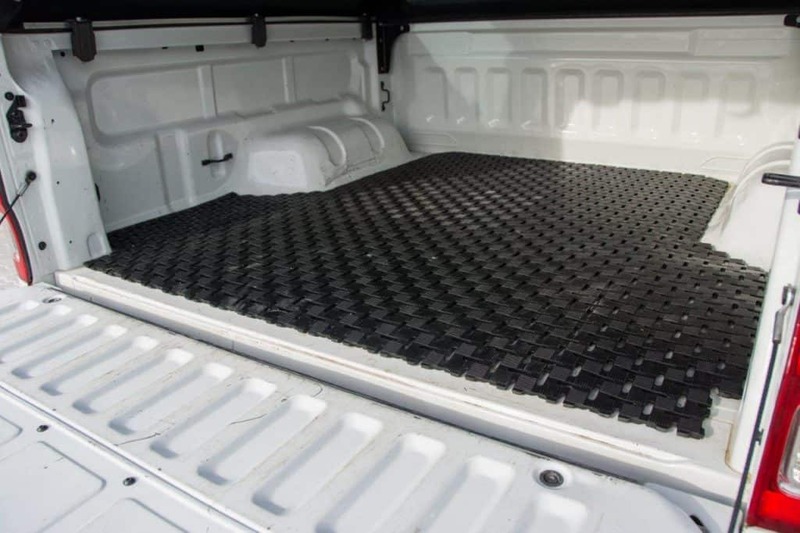 One of the biggest benefits of quality rubber Ute matting is the reduction of scratches and dents when loading and travelling. 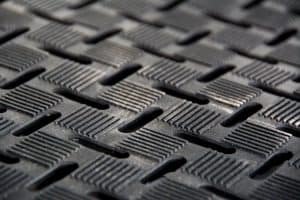 By having quality rubber matting, it absorbs the shock and keeps your vehicle in the best condition possible. Nothing is more off putting when you sell your vehicle to have a clean and tidy cab, and a Ute tub or tray that’s scratched, dented and looks ten times older! By nature, driving causes things to move around. This is even more applicable once you are off road, but even on the bitumen loads move around, even when packed well. By having a quality sheet of rubber in between your load and the tray the noise reduction is substantial, and your ride comfort is greatly improved. Corrugated roads are enough to deal with without having to worry about the constant rattling, banging and clattering from the back of your vehicle! By law, you must tie loads down when transporting them on a Ute or Truck. This is why you see a strap over every single pallet, or drum on the back of vehicles. In the event of an accident your load poses serious potential for injury. However, something a lot of people don’t realise is that rubber matting greatly increases your ability to tie a load down safely. As you strap a load down onto quality rubber matting, it compresses, and the friction between the surfaces increases considerably. According to the National Transport Commission, a rubber load mat can more than halve the number of lashings needed! This is because the rubber makes it much harder for a load to move around. You might wonder why you can’t just get some off cuts of conveyor belt, and chuck them in your tray or tub. Realistically, you can, but it poses a couple of major issues. 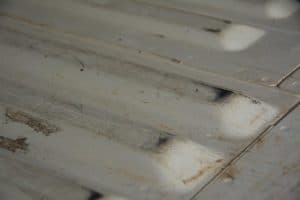 The first is that moisture gathers in between the two surfaces, and causes rust very quickly. The second is that conveyor belt is incredibly stiff and doesn’t flex very well. Lastly, the weight difference between proper rubber matting and conveyor belt is substantial, and excess weight is never a good thing. Where can I get it, and how much is it? Clark Rubber stores all over Australia are now selling the Ultimate Matting, by the roll. Its 1.81 metres wide, and is sold by the linear metre at $149 RRP (1m x 1.81m). They will cut it to what ever size and shape you need, and you can keep any off cuts that are within your required dimensions. If you’ve got a Ute, Truck or Trailer that you want to look after, head down and check it out. This post was brought to you in conjunction with Clark Rubber.